This is it. You no longer want to rent. You've decided that 2018 will be the year you become a Havasu homeowner. After a long search, you've found the perfect Lake Havasu home to call your own. The sellers accepted your offer. Now, you have a home inspection scheduled (like every smart buyer should). 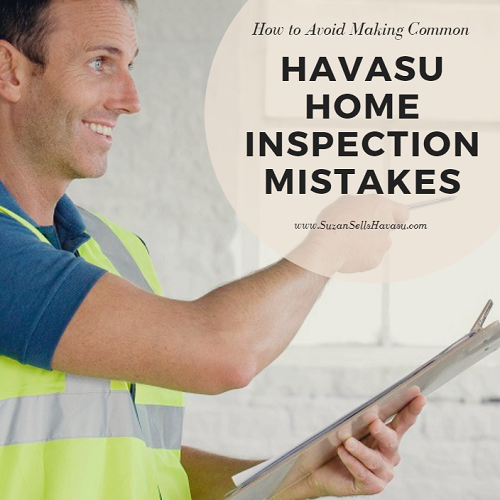 However, there are a few common Havasu home inspection mistakes you need to avoid making so that your dream home doesn't become a nightmare. By scheduling a Havasu home inspection, you've already avoided this. Some buyers believe that an inspection isn't important. After all, you've already shelled out money for the downpayment and closing costs. Why pay for this, too? Because your inspector may find potential problems that a simple walkthrough won't uncover. If major issues are found, you may want to renegotiate the sale price to take into account the cost of making these repairs. Or, if they are too big for you, you might decide to cancel the entire transaction altogether. As I said before, you're investing a lot of money into your Lake Havasu home. It's understandable that you would want to cut costs wherever possible. But choosing a home inspector based solely on their low price could be detrimental. Instead, look for experience, good references, and use of up-to-date equipment first. Then, consider the price. The second or third lowest priced inspector with glowing recommendations and years of experience far outweighs the cheaper, less experienced option. Buyers are allowed to be present when an inspector walks through the property in question. Feel free to ask questions about different areas of the home as well as what the inspector has uncovered. It's easier to talk directly to them while the inspection happens rather than trying to interpret what they mean on a report later. But don't hover. Give them enough room to do their job thoroughly. Even new Lake Havasu homes can have their share of issues. So, don't be surprised if you find out that your inspection uncovered areas in need of improvement. However, not all problems are equal. Don't focus on the little things that can easily be repaired. Instead, pay attention to any big issues like roof leaks, mold, cracks in the foundation, etc. 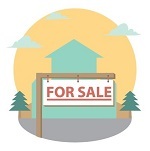 Your Lake Havasu REALTOR@ can take that list back to the seller to negotiate a lower sale price on your behalf to offset the cost of the repairs. Or, they can discuss having the seller pay for the repairs before the sale is complete.If the seller has the repairs done first, make sure to perform another home inspection after these repairs are completed. You don't want to purchase your home just to find shoddy workmanship was done, leaving you to pay for fixing the problem anyway.